The It’s Not What You Think storytelling series explores the unexpected twists and turns that life takes—emphasizing that our lives rarely (if ever) progress as a linear series of met goals. On Thursday, November 10 at 7:30 p.m. in Hillcrest 103 (the Orchard Room), Caitlin Myers, Associate Professor of Economics, will share her story of living through the grief of the sudden loss of her partner. Her story highlights her tremendous resilience in the wake of tragedy. 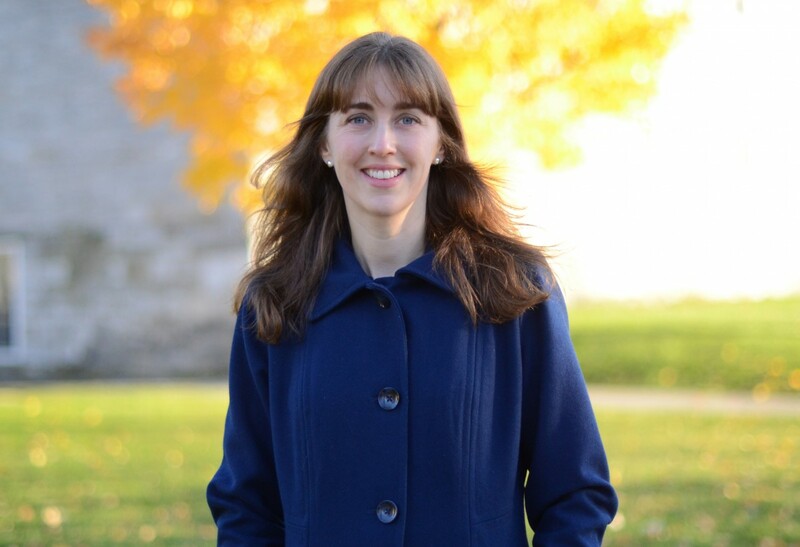 Caitlin Myers joined the Middlebury economics department in 2005. She teaches courses in urban economics and empirical methodologies, and enthusiastically supervises a senior research workshop most spring semesters. Caitlin’s research intersects issues related to gender, race and the economy. Her current projects estimate how reproductive policies influence social and economic outcomes. Caitlin grew up in Burnsville, West Virginia, and LaGrange, Georgia. Established in January 2015, It’s Not What You Think brings together members of the college community around stories of the unanticipated ways that life unfolds, including failures, defeats, tragedies, and radical life changes. Sponsored by the offices of the Vice President for Academic Affairs and the Vice President for Student Affairs. This entry was posted in Midd Blogosphere and tagged Midd News, Midd Points on October 31, 2016 by Aimee Diehl. The Humanities Steering Committee hosts a monthly lunch exchange for Faculty and Staff, to explore the role of the Humanities at Middlebury College and beyond. Is there a palpable level of anxiety in your classes right now? Do you feel that you are racing to finish up your syllabus? Are you falling over the finish line instead of gracefully and intentionally wrapping up your semester? Are you unsure that your students’ final work appropriately reflects the culmination of what they have learned? If so, please join the final meeting of the Humanities Lunch Exchange on Tuesday, May 3 to share ideas and best practices for ending the semester well, alleviating stress for you and your students, and nurturing a shared sense of accomplishment. Lunch is provided. Please RSVP to adiehl@middlebury.edu to attend. This entry was posted in Midd Blogosphere and tagged For Faculty, For Staff on April 25, 2016 by Aimee Diehl. Humanities Lunch Exchange on April 12: When is Less More? Faculty and staff are invited to the April Humanities Lunch Exchange on Tuesday, April 12. For lunch, please email adiehl@middlebury.edu by Noon on Thursday, April 7. Details below. The trajectory of a student’s education involves many decisions about quantity, decisions by the students themselves, and decisions by educators. How much to “cover” in a course? How many courses to take? How many majors? How many courses to allow in a major? How many minors? When should students be asked to read less, but to read more closely? We surmise that everyone has faced these or similar questions. Please bring your own questions and reflections to the next Humanities Lunch Exchange, on April 12 at 12:20 p.m. in the McCullough Crest Room. (Lunch will be available at Noon). This article from Faculty Focus “More Content Doesn’t Equal More Learning” is relevant (but hardly required!) reading for the conversation. The broad purpose of the Humanities Lunch Exchange is to encourage conversation about the humanities in the community, particularly among faculty and staff, in order to broaden understanding, to promote friendship, and to have fun. This entry was posted in Midd Blogosphere and tagged For Faculty, For Staff on March 31, 2016 by Aimee Diehl. The Humanities Steering Committee hosts a monthly lunch exchange for Faculty and Staff, to explore the role of the Humanities at Middlebury College and beyond. This month’s topic: “The Challenges of Grading Qualitative Work” at Noon on Tuesday, March 1 in the Axinn Center Abernethy Room. We invite faculty to prepare by simply reflecting on their own pedagogical choices and how they approach grading in their classes. Please come willing to share your perspective, your experiences, and your standards of evaluation. This entry was posted in Midd Blogosphere and tagged For Faculty, For Staff on February 19, 2016 by Aimee Diehl.